I've got a broken heart -- and I'm ready to try anything to fix it. 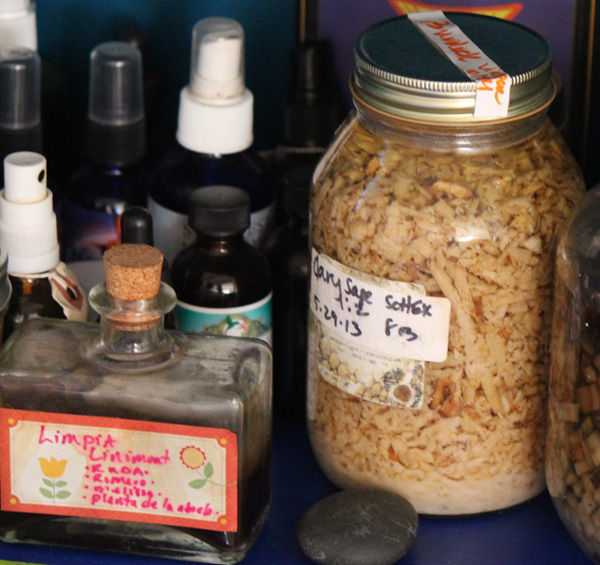 When I heard about a curandera, or Mexican folk healer, who created an herbal formula to treat just that, I had to meet her. 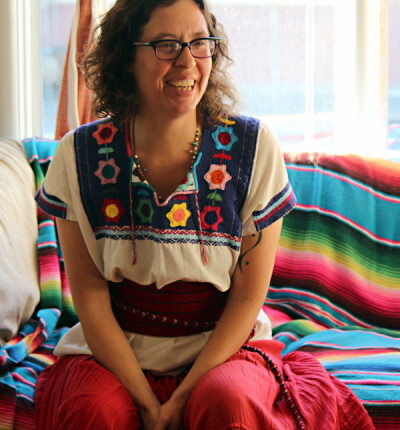 Her name is Atava Garcia Swiecicki, and she runs a small business in Oakland called Ancestral Apothecary, selling herbal products, teaching classes and conducting healing ceremonies like the limpia, a traditional cleansing ritual that helps people heal from loss, such as a death or a breakup. That’s exactly what I need. A few months ago, my boyfriend and I split up. I’m a mess. Some days the tiniest reference to love and romance will make me start sobbing, and then every other part of my life feels like it’s falling apart, too. I know I’m not alone here -- breakups are something almost everyone goes through at some point -- but that doesn’t make it any easier. Swiecicki is half Mexican and half Polish, and has trained with many Mexican curanderas, conducting countless limpias for clients, friends and family. I’m crying every day, I can’t concentrate and I’m grasping at strings. I have to try it. 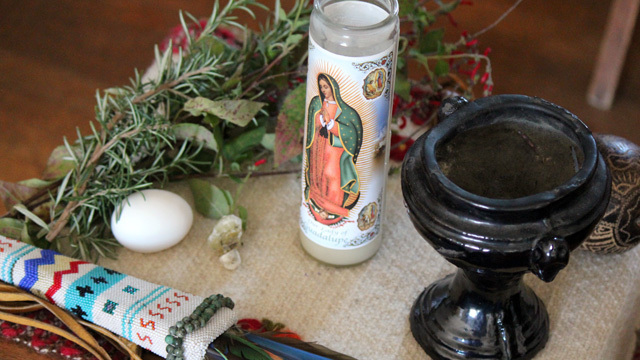 To begin the ceremony, Swiecicki sets up a small altar in the center of the room, carefully arranging the necessary objects -- a raw egg, feathers, a special resin called copal, a drum, a rattle, fresh rosemary and red hummingbird sage. And I do feel stuck. There’s just so much that’s tangled up in losing a romantic partner. There’s the sense of yourself that changes and, really, the whole direction of your life. I hope that, somehow, participating in a ceremony like this can help me transition into the next chapter. When Swiecicki lights the copal resin with a candle, it starts to crackle and pop; a trail of fragrant smoke fills the air. I sit in a chair in front of the altar and glance around the room. It’s crammed with images of healers and deities from all sorts of traditions, glass bottles of herbal tinctures, crystals, rocks and candles. There are also lots of plants. Ever since Swiezecki started what she calls her “lifetime love affair” with flowers and herbs, she’s been fascinated with their wisdom. She uses them to help with physical, emotional and spiritual ailments -- not only for her clients, but also for herself. 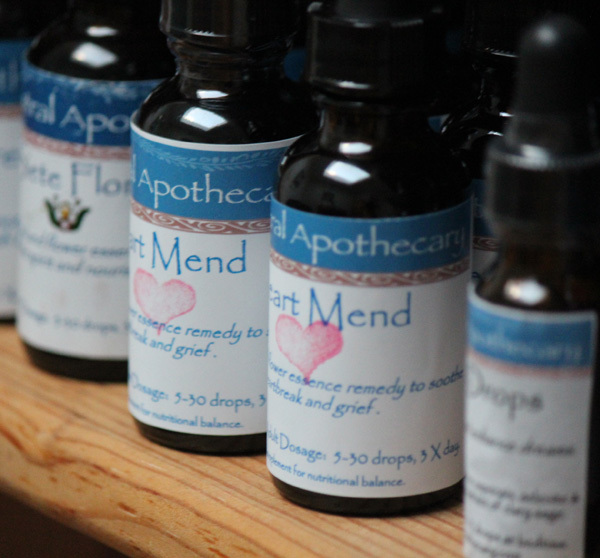 So she started experimenting, and came up with an herbal formula specifically designed to remedy the pain of an emotional loss. She called it Heart Mend. Ingredients include herbs and flowers thought to help both the literal -- and the figurative -- heart, such as hawthorn, lemon balm, red roses, and the flower and bark of the mimosa tree. As Swiecicki begins to play the drum, slowly and rhythmically, I close my eyes. I’ve been crying. And I keep crying as Swiezecki brushes my arms and back with the herbs, and the egg, and lulls me into a kind of trance with the rattle and the drum. The ceremony couldn’t have lasted longer than half an hour -- and maybe far less -- but I feel really dizzy and overwhelmed. I realize my sadness isn’t just about this loss. It’s about all kinds of things I haven’t fully dealt with. Even if a ceremony like this doesn’t do much in and of itself, that’s probably not the point. I walk out of Atava Garcia Swiecicki’s office with a bottle of Heart Mend and the feeling that it is OK to be just exactly where I am.